Super Smash Bros. on the 3DS is a load of fun, but there are quite a few people upset with a few glaring issues. Most noticeably, the lack of power from the 3DS has held back the full potential of the Wii U version, causing characters like the Ice Climbers to be cut and transformation characters like Sheik and Zero Suit Samus to be set as their own character on the roster. Some people just can't be happy, though, and the latest complaints comes in the form of the clone characters. Despite clones appearing in every other game, Dr. Mario, Dark Pit, and Lucina have all taken a bit of a hit in popularity thanks to many fans believing they should have been given the "alternate costume" treatment rather than a full spot on the roster. One of these rosters could have gone to a more worthy original character, they believe. Director Masahiro Sakurai has fired back in an interview with Famitsu, stating that their inclusion "didn't increase the required man-hours" that an entirely new character would. There are 3 fighters [Lucina, Dark Pit, and Doctor Mario] that are alternate models (clones) in the game. Each was originally a color variation, but during development, they were given balanced characteristics. Since their functionality had differences, forms were separated from each other. However, it was vital that this didn't increase the required man-hours. Some relative tuning was sufficient as it wasn't necessary to create balancing from scratch. Essentially, just because clone characters exist doesn't mean that they would have been replaced by entirely new characters. The effort required to build one from scratch is a lot greater than tweaking the stats of an existing one. Sakurai also laid out the differences between each of the clones. 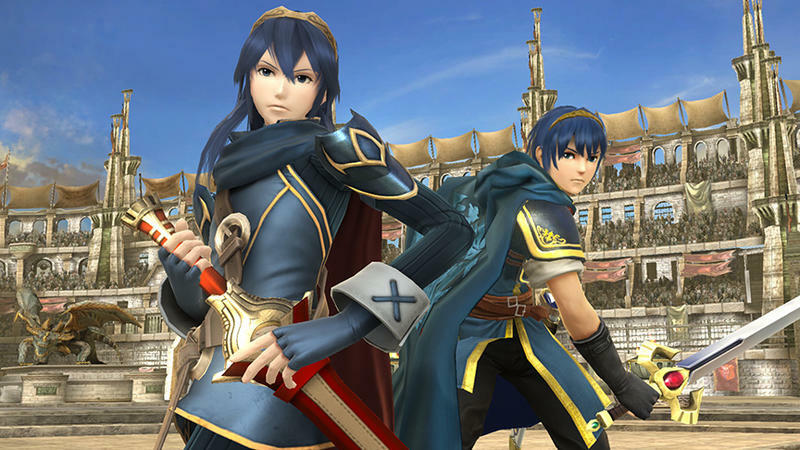 Lucina and Prince Marth see the biggest difference in that the focus of their sword is in a different place, similar to how Marth and Roy worked back in Super Smash Bros. Melee: Marth does more damage with the tip, but Lucina damages more heavily from the middle of her sword. Dark Pit was also forced to become his own character because Sakurai wanted him to have a unique Final Smash attack from the normal pit, and that would have been impossible otherwise. His unique arm also would have been impossible. Dr. Mario though was created solely for the purpose of keeping his older fans from the days of Melee happy. Sakurai closed his comments by comparing "clones" to dessert at a fancy restaurant. Seriously, read this. This is like a free dessert after a luxurious meal that was prepared free of charge. In a restaurant with this type of service, I don't think there's anybody who would say, "Change this to a meat dish!!" Yet, I'm told [to do that] about Smash Bros. But, I guess since a lot of them are children, it cannot be helped. Burn indeed. Nintendo fans are a passionate bunch, but it's not often that a Nintendo staffer will call them out like that. Could you please leave it to me to select [characters] with man-hours and costs in mind? However you look at it, the game is a great bargain buy as a result. Whatever. He put Mega Man in the game, so I am willing to listen to anything he says. Super Smash Bros. for the 3DS is available now, and the Wii U version will be released on Nov. 21.